New book, 80 pages, SS5604. 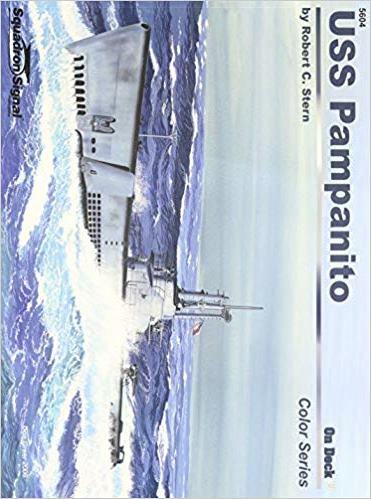 The USS Pampanito, a Balao-class fleet submarine, was commissioned in late 1943 and went into action in the Pacific at the height of WWII. During her patrols from early 1944 through mid-1945, Pampanito prowled the sea lanes of the western Pacific, decimating the convoys that were the life blood of Japan's far-flung maritime empire. By the time she was ordered back to Pearl Harbor for overhaul in the summer of 1945, Pampanito had sent 5 Japanese ships - 27,332 tons to the bottom. But Pampanito's proudest day was 15 September 1944 when she rescued a total of 73 British and Australian prisoners of war who had survived the sinking of a convoy taking them to Japan as slave labor. Today, Pampanito is a floating museum permanently docked at San Francisco's Fisherman's Wharf. Illustrated with 265 highly detailed photographs, color profiles, and intricate line drawings.